We all know that to get the most out of training and exercise we need to continually challenge our bodies with increasing variation, intensity, and volume. By “breaking down” muscle on a regular basis, our body in turn responds by building more muscle of higher quality to be better equipped for handling the potential for large amounts of work in the future. However, one caveat is that if we push too hard or too long without enough recovery, we can quickly set ourselves up for injury, sickness, or overtraining. Too much of a good thing can turn things bad before we know it, as anyone who has suffered from overtraining or exercise-related injury can attest. Beta-Hydroxy beta-methylbutyric acid, better known as the supplement HMB, is a metabolite of the branch chain amino acid (BCAA) leucine and can do wonders to aid in recovery from arduous and intense training, thereby allowing for more intensity and volume of training, with less risk for the potential negative effects. HMB has been shown in studies to significantly increase lean mass while simultaneously decreasing fat mass when taken while doing intense training. Who doesn’t want a better body composition and to get more out of the strenuous workouts they’re putting in? HMB can help you get the most from your workouts in terms of shifting the balance of your fat mass to more lean mass. A leaner body is a fitter body, allowing for more efficient and intense exercise with less fat mass “drag”. HMB helps to maintain the structural component within muscle cell membranes, which leads to less protein breakdown and/or muscle atrophy over time. This can be of particular importance to the elderly population who often suffer from sarcopenia (age-related degenerative loss of skeletal muscle mass), greatly increasing their work capacity and ability to perform everyday tasks that younger folks may take for granted. Also, for those who are doing large amounts of endurance exercise, which can lead to a significant loss in muscle mass when done in large volume, HMB can help the body to hold onto more of that hard-earned lean tissue and thereby support the lean tissue maintenance that will contribute to ongoing performance increases. HMB speeds repair of damaged muscle fibers. Not only does this mean we can train more often with less risk for overtraining or injury, which in turn can increase our overall results, but it also means we can train more often without soreness from previous bouts of exercise. Less muscle soreness makes for a more pleasant experience all around, and can be especially important in multi-day events where extreme muscle soreness can put a damper on technique and performance. HMB has been shown in studies to significantly increase total body strength when coupled with strength training. Most people can stand to get stronger because it has cross-over to so many facets of life, which is why strength training is so commonly recommended by trainers and health specialists. Especially for those of us over 30 who see a gradual decrease in strength as we age, holding onto and increasing strength as we get older can greatly increase our quality of life and ability to perform the strength-related tasks of life including squatting, pressing, lifting, etc. HMB can reduce the stress hormone cortisol, which can ultimately lead to a slimmer waistline. Too much cortisol, and at the wrong times, can negatively affect our body composition and increase the body’s storage of fat in the midsection. HMB can be very beneficial for those of us who tend to store subcutaneous fat around the belly, which can be indicative of chronically elevated cortisol levels due to overtraining, lack of sleep, or a high-stress lifestyle to name a few. During intense exercise, muscles fibers are damaged, causing muscle protein to break down. However, if you are training hard and regularly, HMB can aid you in getting the most from your workouts with faster results by increasing muscle integrity, enhancing protein synthesis (muscle building), depressing protein degradation (muscle breakdown), and reducing cortisol. The presence of high levels of HMB in the muscle tells the muscle to preserve existing muscle, thereby promoting protein synthesis over protein breakdown for more rapid muscle development and recovery. The human body only produces about 0.2-0.4 grams per day, but the most efficacious research dose to consume is between 1.5 to 3.0 grams per day depending on body size, divided into two doses (one before training and one after). Often a week long loading period of HMB is recommended to rapidly increase HMB levels in the muscle. To further enhance the benefits of using HMB, it is often recommended to “stack” other supplements along with HMB to create a synergistic effect. 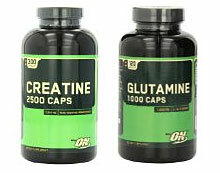 Two supplements in particular are creatine and glutamine. Creatine helps by increasing work capacity and energy use – learn more (and also aids brain function and memory, which never hurts! ), while glutamine does wonders for the immune system which can take a beating when under a lot of physical and/or mental stress. As always, when large amounts of intense training are taking place, it is of paramount importance to also get enough protein in the diet because protein and amino acids can help replace lost protein, and build more lean mass. Bringing these all together can allow you to work harder while recovering faster and better, a true win-win situation! Give HMB a try, coupled with creatine, glutamine, and sufficient aminos, during a particularly hard stretch of training weeks or months, and see how well they work for you to push your training to a new level! Have you tried HMB yet? 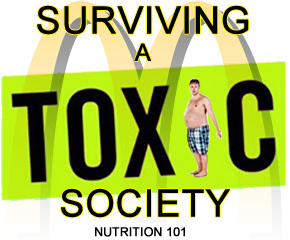 What was your experience? Let me know in the comments below! 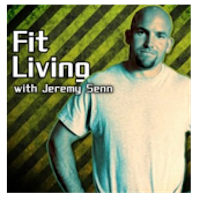 Jeremy Senn MS, CSCS specializes in body fat reduction & muscular power for increased health & physical performance. Jeremy has worked with hundreds of personal training clients and athletes, has a Masters Degree from Southern Oregon University, and has served as an instructor teaching Physiology of Exercise at SOU. Jeremy is published in MSSE ("Risk of Heart Disease in Firefighters").